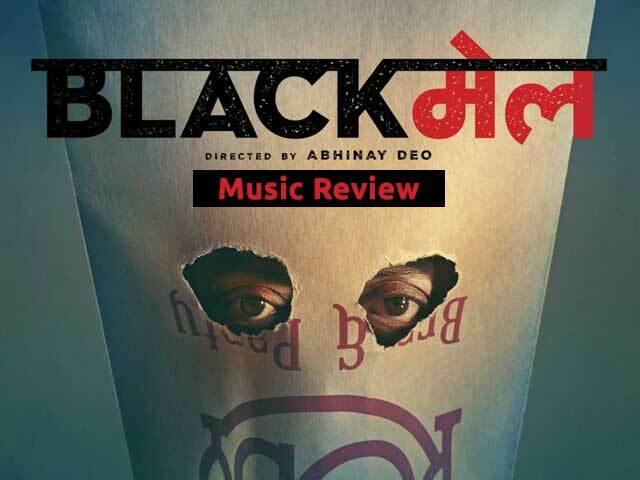 Blackmail is an upcoming Irrfan Khan starrer directed by Abhinay Deo. The teaser when released didn’t reveal much about the plot but the trailer seems to have done justice to it. It is a story about a man who is being cheated on by his wife. This discovery is a turning point in the plot from where things go downhill. Kirti Kulhari and Irrfan Khan will surely take us on a hell of a rollercoaster ride. It is all set to release on the 6th of April. But the plot and the thrilling suspense isn’t all that the movie has to offer. The album of Blackmail is perhaps just as amazing with all the tracks being as good as the other if not better. It comprises of a total number of six tracks which oscillate between party numbers to soft romantic melodies. It’s finally time to update your playlist. The first song Happy Happy is sung and composed by Badshah. Astha Gill also sings along. It is the new party anthem with brilliant mix of electronics that are not too heavy on your ear but will keep your heart racing. This peppy song with extremely quirky beats has been composed by Guru Randhawa. It is in fact a remake of an earlier version of this song sung by Guru himself. It is set against the backdrop of a wedding mandap where you can see the bride dancing along and the groom indulging visually in his bride’s dance steps. this is by far the principle attraction of the entire movie album because we see the famous Rangeela girl Urmila Matondkar in this in a flashy sequin saree swaying to the song against the setting of a somewhat shabby nightclub. The name of the song aligns with the overall theme of the movie: betrayal and infidelity. It has been composed by Amit Trivedi and sung by Pawni Pandey. Abhinay Deo in keeping with catchy songs in his movies like I hate you like I love you from Delhi Belly has incorporated this song where we see Irrfan Khan in a brand new avatar. Lines like “kuti cheez hai duniya fir tu kyu banta hai Santa Claus?”will surely strike a chord with everyone of us. He is furious, yet quirky. The sung has been sung by Amit Trivedi who has done a brilliant job and written by Amitabh Bhattacharya. It’s a beautiful, melodious soft track composed and sung by Amit Trivedi. It reiterates the essence of love and loss. The song is an essential attempt to reach out. Amit Trivedi’s soothing voice is bound to give a familiar tug of melancholic joy to your hearts. Sung and composed by Amit Trivedi again, this song is has powerful baselines that will definitely create a subtle vibrant impact. It is groovy and jazzy, mellifluous to the ear but intense nonetheless. The lyrics have been written by Amitabh Bhattacharya. The full album is a comprehensive musical whole. Amit Trivedi has undoubtedly done a brilliant job with the album. And the songs have been ideally incorporated into the movie in keeping with its essential thematic elements.